After the success of The Spiritual Teachings of Marcus Aurelius, Hodder and Stoughton commissioned me to write 4 more books on philosophy and spirituality. 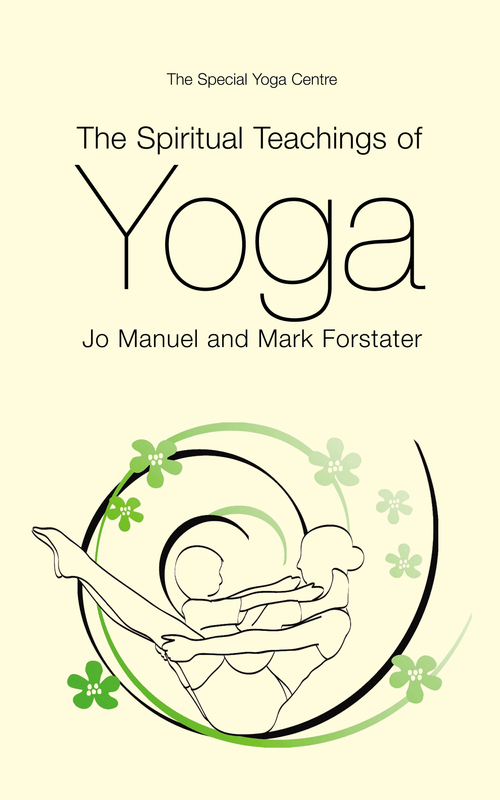 After writing a book on Seneca, my then partner Jo Manuel suggested I write a book on Yoga philosophy. This was a subject that I had never found easy to penetrate, partly because of so many Sanskrit terms, and partly because of the alien (to the western mind) nature of the philosophy’s expression and ideas. . But Jo, a yoga therapist, said she would work with me on the book. So we plowed ahead and the book was published in 2003. It has been in constant publication since then, and is especially popular with yoga student teachers, who often need to study yoga philosophy but find it as difficult to understand as I did. The book is a readable, accessible and sometimes surprising account of yoga philosophy, touching on practice as well as some history. The book also includes the Yoga Sutras, some Upanishads and a section of the Bhagavad Gita. First of all, I did not need to be practicing physical yoga in order to find this book enlightening. (I have had yoga classes but mainly focus on one position each day that relieves a cranky back.) The focus is on living the spiritual life. I am currently reading the selections from the Upanishads that are a part of this book. They touch my heart and my soul and teach me what living and loving are truly about, and the unimportance of material things. While reading and meditating on Yoga Masters, “earth’s vain shadows flee”, and I am reminded of the oneness of all things. Starting each morning with this book has truly added richness and meaning to my daily life. This book ROCKS! I totally agree with the reviewer before me. This is a great book for someone who has done some yoga and loves it and is ready to move into the spiritual side of yoga. Truly amazing and has completely changed my life. The writers have written this book with perfect simplicity and grace. A very easy read, yet encompasses everything quickly and neatly. My favorite yoga instructor loaned me this and one other (Heart of Yoga) when I expressed an interest in learning more about the “whole picture” vs. just asanas. Am purchasing my own copy after spending time letting the various texts sink in. If you are looking for a deeper, readable resource try this one. I can’t believe no one else has reviewed this yet! Despite the cheesy title, this is a bona fide invaluable resource, especially for those who do postures, but are unfamiliar with Hindu philosophy. The first half of the book is a basic introduction to yoga philosophy. The second half, believe it or not, consists of ample selections from the Upanishads, as well as the entire texts of the Bhagavad Gita and the Yoga Sutras of Patanjali, all translated into contemporary English with no complicated sanskrit terms—all in this tight little compact paperback. For such a small price, don’t pass up this bargain! It’s a lovely feeling to know that a book we created 15 years ago has touched and helped so many readers.